Steadily budding rapper with national repute, Planett Machete is set to headline his franchise event, #WorryJam following the highly patronized maiden edition last year. To be hosted at Ghana @ 50 Down Below-Hohoe, the 2019 edition promises to host thousands of fans from every nook and cranny of the region. According to Konda Empire front-liner Planett Machete, this year’s Jam will include cleanup exercise in the early hours of the day from 6am to 9am. 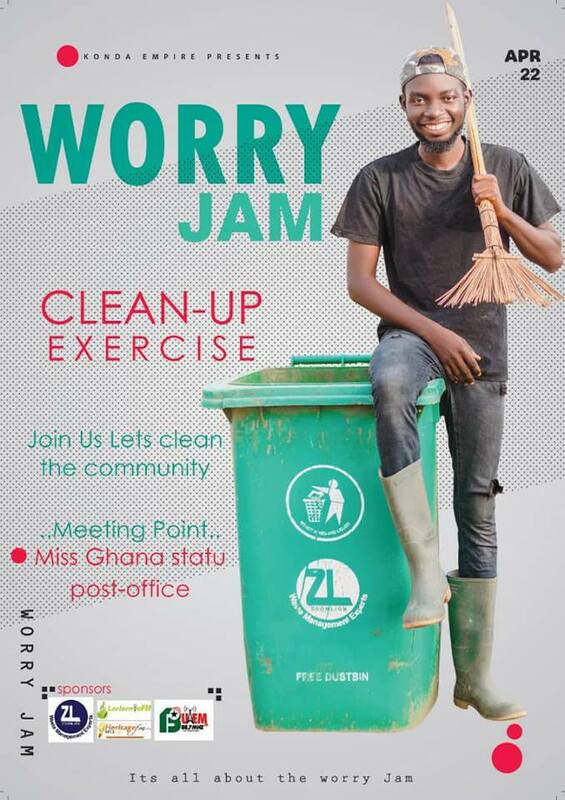 With sponsorship from Zoomlion Ghana Limited, the cleanup exercise will begin at the Miss Ghana Statue through all the principal streets of Hohoe. Subsequent to that, the event will then dovetail into the real jam from 8pm till everyone drops with DJs Sedem, Last Kobo, Misty, Authentic DJ taking turns to keep patrons thrilled. The Worry hit maker will share stage with other heavyweights including, Kush Elikem, Efemor, Messiah 1, Skerry Zee, Kelvin Hilly, Eyram Vibz, King Garo (Gispy) and Francis Kofi & Fulani Gh. Next articleIs the gov’t of Ghana making profit from the monies the Muslim Committee pay towards their pilgrimage?